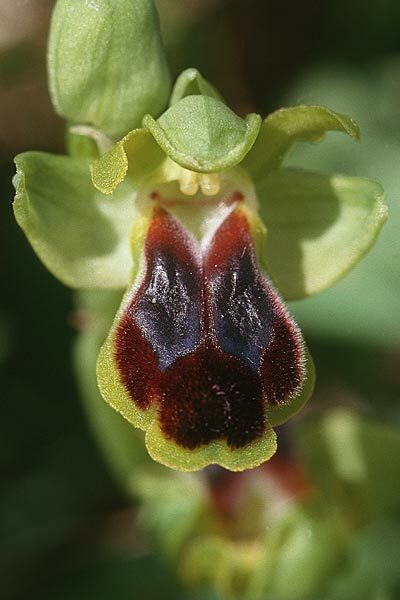 Up to now Ophrys laurensis MELKI & GENIEZ (1992) was only found in the region of Monte Lauro near Buccheri. 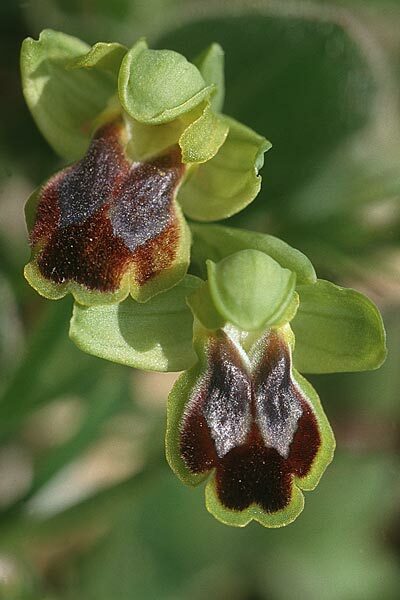 It is a very uniform subfusca s.l., which has a glossy labellum and tall petals. 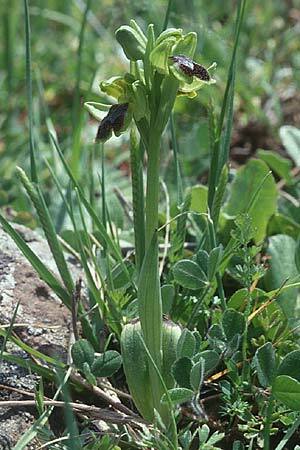 The high altitude of the sites is the reason for the late flowering period, middle of april to may. 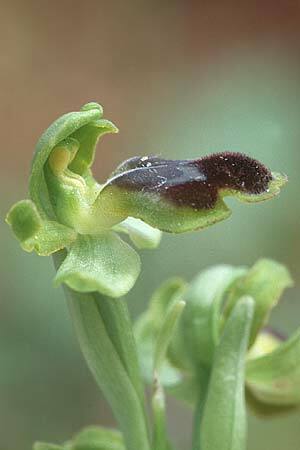 2001 DELFORGE describes the finding of the pollinator Ulandrena schulzi in Natural.belges 82 (Orchid. 14): 144-148.